The conference Aspect'19 "Asymptotic analysis & spectral theory" will take place on September 30 - October 4, 2019 in Orsay. It will be the fourth iteration of the series (previous editions: Mainz-2012, Orsay-2015, Trier-2017). The meeting will be dedicated to the spectral analysis of differential operators and related topics of mathematical physics, with a special attention given to asymptotic methods and spectral geometry. Our main objective is to motivate new interactions among researchers working in these domains. The meeting is organized by Valentina Franceschi, Konstantin Pankrashkin and Olaf Post. 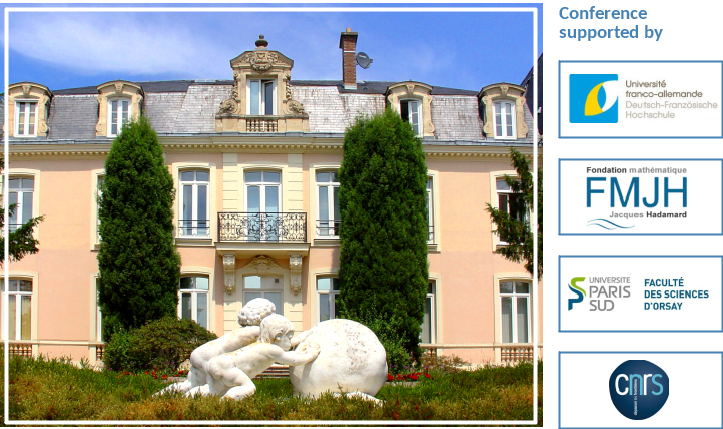 E-mail address of the organizers: aspect19@math.u-psud.fr. Conference poster is available: download. We encourage an active participation, and a number of slots for contributed talks are available. In case of a large number of high-quality talk proposals we will organize parallel sessions. Some financial support for young researchers based in France and Germany is possible due to a grant from the French-German University. Meet potential collaborators! The mathematics department in Orsay is systematically ranked among the best ones in the world. In addition, it is the center of the scientific cluster Paris-Saclay with several hundreds of mathematicians, many of whom are specialized in partial differential equations and spectral theory and will be participating in the meeting. Learn Paris region for a different perspective! The town of Orsay is ca. 20 km from Paris (map) but has a good transport connection with the city (it takes ca. 35 minutes by RER B, there are trains every 10-15 minutes). Some accommodation options in/near Orsay are available as well. The Orsay campus is a beautiful botanical garden. 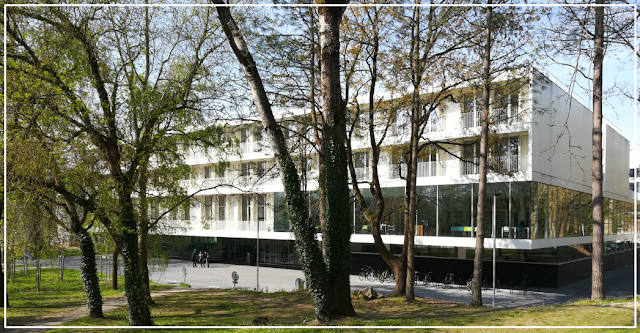 The department recently moved into a new modern building specifically conceived for mathematicians, which offers an exceptional atmosphere for both local researchers and visitors. Mathematics department (Institut de Mathématique d'Orsay). Photo taken by the organizers.